The New Forest is one of the UK's most majestic areas of natural beauty and there's no better way to view it than from the sky. 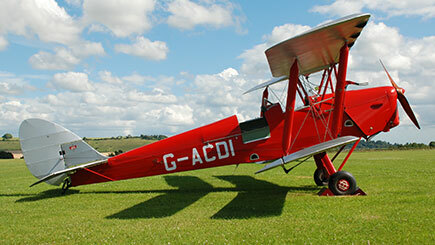 Fly from historic Old Sarum Airfield and embark on a Tiger Moth flying experience that spans 80 years of military history. Feel the rush of wind from the open cockpit of the genuine 1930s Tiger Moth and soak in stunning aerial views of the Avon Valley, the lost airfields of WWII, the famous New Forest ponies and the marinas, ports and beaches of the beautiful south coast. This thrilling flying experience offers a completely novel way of sightseeing and is a must for any true fan of vintage aviation. Thursdays and Saturdays throughout the year, excluding the Christmas and New Year period. Minimum age is 16. Minimum height is 3'2'' and maximum height is 6'4''. Maximum weight is 16 stone. This experience is unsuitable for pregnant women and anyone suffering from epilepsy or back problems. Flying is weather dependent and it is crucial to call the venue on the day. The Tiger Moth is a vintage open-cockpit plane and certain weather conditions may result in the flight being rescheduled. Lasts around two hours including a briefing and your one hour flight. 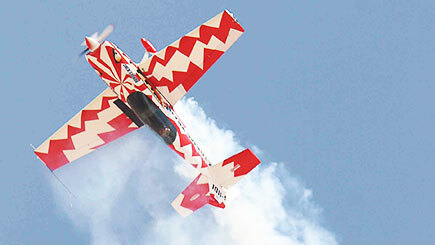 Briefings may be shared, but the flight is held on a one-to-one basis with a qualified instructor. Wrap up warm, wear soft-soled shoes, bring sunglasses and tie back long hair. All specialist equipment is provided.